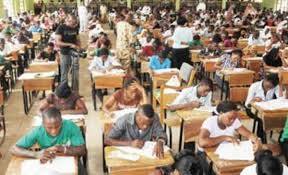 The Joint Admissions and Matriculation Board, on Thursday, released the results of the just-conducted Mock Unified Tertiary Matriculation Examination (UTME). The board’s Head, Media and Information, Dr Fabian Benjamin, disclosed this in an interview with the News Agency of Nigeria (NAN) on Thursday in Lagos. 0 Response to "JAMB releases mock UTME result for 2018"